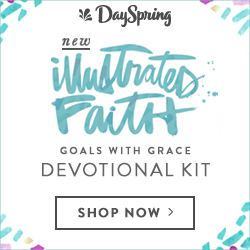 Slowing down in the day-to-day is one of the hardest things for me. During my time at college, especially the first three years, I held a schedule that blew every season of "business"I had ever known out of the water. I was up at 8:00am if not earlier then it was go-go-go often past midnight. Between work, classes, church, rehearsal, and any semblance of a social life, my planner was glued to my side and I was running in circles. This year --particularly this semester-- has been a different story. 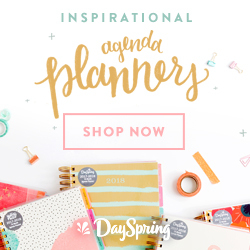 I vividly remember the first time I was headed out the door and paused to take my planner out of my purse and toss it on the table. I had a moment. "Did I really just do that?" It was a breakthrough, I tell you. Freedom finally found! But slowing down is still something I am working on. Being slow in speech, and quick in taking time to listen. I mentor several girls younger than I in theatre and in my church's college ministry and I'm learning how important it is to truly listen and leave room for God to speak. In my silence I can hear His voice better and my girls can hear their own stories and come to their own understandings and revelations. In friendships, I value people who are great listeners and I want to become a better one. Not every conversation needs a re-routing with the word "One time I..." Ouch, right? I catch myself doing that so often. I justify it by saying, well, that's what conversation is, isn't it? No, it's not all about me. Not in the least. I love people that ask great questions. When I hear a good one I want to put it in my pocket for later. But the people I know that ask good questions are the ones that are the most intentional in friendships and place the most value and honor on others. It baffles me in the best way. So slow to speak and quick to listen is what I want to be. 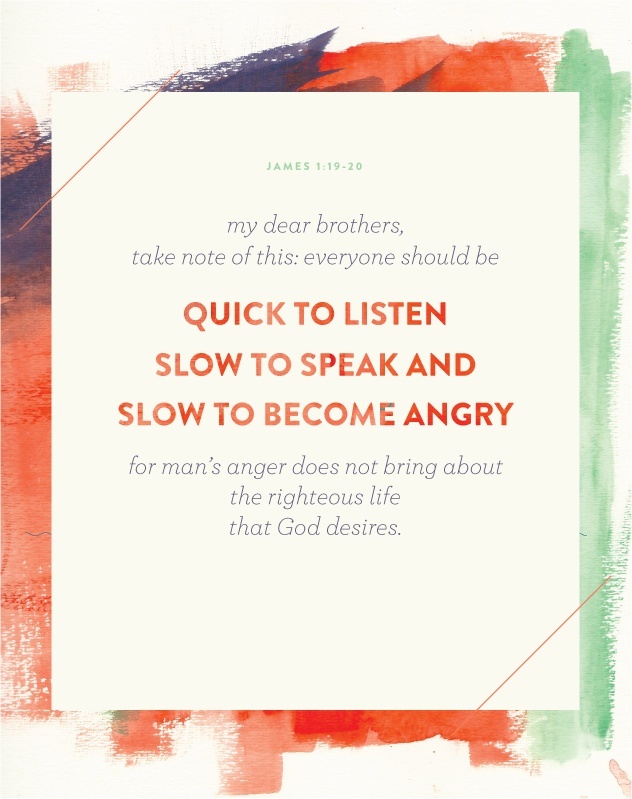 There is a third part to this verse that I do not want to over look: slow to become angry. I strongly dislike conflict and would not say that I am one to bicker or exchange angry words often, but in my heart I know my defenses can raise in the blink of an eye. In the car when someone drives "too slow" or zips around me... if my name does not end up on a cast list and someone younger than me gets the part... time and time again my heart hardens and swells though my mouth may never reveal the hurt. Proverbs 4:23 tells us to "Keep your heart with all diligence, for out of it spring the issues of life" (NKJV). I have absolutely seen this to be true. Letting hurt, anger, or unforgiveness sit in my heart for any length of time only causes more pain and greater walls. In being slow to anger that means quick to repent and release, surrendering these places to God and asking for His wisdom in the moment. It's not easy. It's something I am still learning. But it is something I know will be worth it. So say it with me: Slow, quick, quick, slow. What a way to start our Monday, hmm?